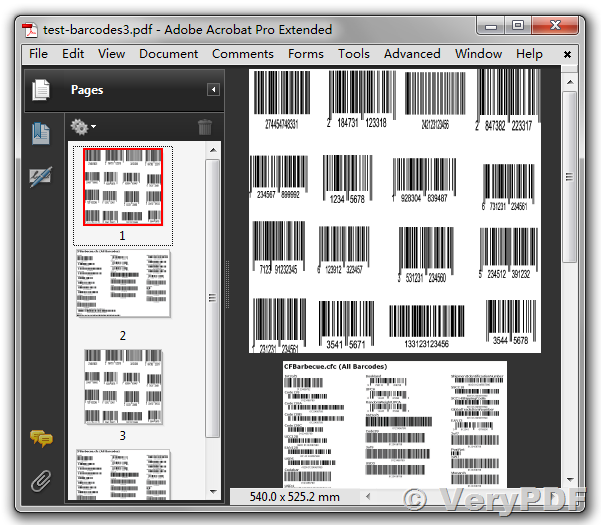 ← How to Read Barcode from PDF in C#.NET? Using free C# code to scan linear & 2d barcode images in .NET applications. Mainly decode and read C# Code 39, C# Code 128, C# EAN-13, C# QR-Code, C# Data Matrix, C# PDF-417, ect. How to Install C#.NET Barcode Reader Library? Installation requirement: You should have installed Microsoft .NET Framework Version 2.0 or above. Add "VeryPDF Barcode Recognition SDK" to your Visual Studio C#.NET project reference. string strCmd = "-$ XXXXXXXXXXXXXXXXXX -decode \""
This entry was posted in Barcode Generator and tagged barcode api, barcode image, barcode ocr, barcode pdf, barcode reader, barcode recognition, barcode sdk. Bookmark the permalink.